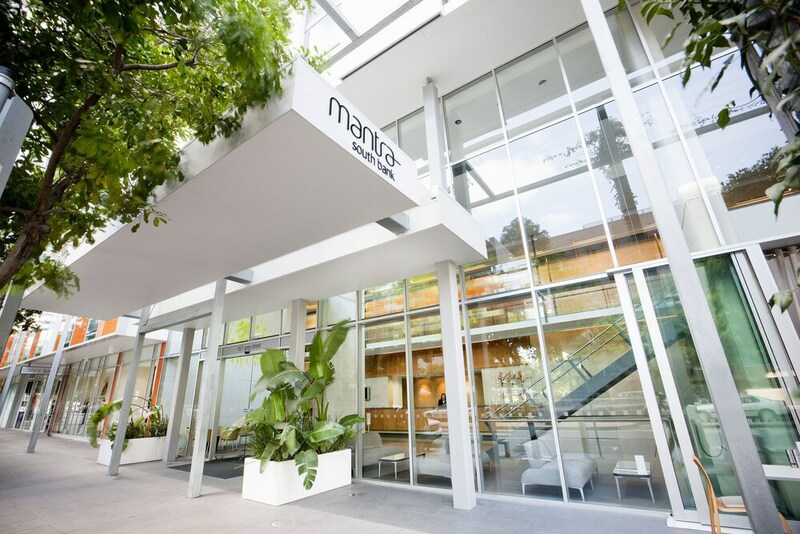 When you stay at Mantra South Bank in South Brisbane, you'll be on the riverwalk, just steps from South Bank Parklands and 4 minutes by foot from Brisbane Convention and Exhibition Centre. This 4.5-star hotel is 0.2 mi (0.4 km) from Wheel of Brisbane and 0.3 mi (0.5 km) from Queensland Performing Arts Centre. Make yourself at home in one of the 161 air-conditioned rooms featuring refrigerators and LCD televisions. Cable programming and DVD players are provided for your entertainment, while wireless Internet access (surcharge) keeps you connected. Bathrooms have complimentary toiletries and hair dryers. Conveniences include phones, as well as safes and desks. Featured amenities include a computer station, express check-out, and dry cleaning/laundry services. Planning an event in South Brisbane? This hotel has facilities measuring 861 square feet (80 square meters), including conference space. A roundtrip airport shuttle is provided for a surcharge (available 24 hours), and limited parking is available onsite. In addition to an outdoor pool, Mantra South Bank provides a spa tub and a fitness center. The hotel offers a restaurant. A bar/lounge is on site where guests can unwind with a drink. A computer station is located on site and wireless Internet access is complimentary. Event facilities measuring 861 square feet (80 square meters) include conference space. This luxury hotel also offers tour/ticket assistance, multilingual staff, and concierge services. For a surcharge, a roundtrip airport shuttle (available 24 hours) is offered to guests. Limited onsite parking is available on a first-come, first-served basis (surcharge). Mantra South Bank is a smoke-free property. Mantra South Bank has a restaurant on site.